Cover Reveal – A Perfect Lucky Charm! 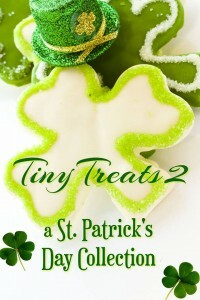 Thank you to everyone who told me how much they enjoyed A Perfect Lucky Charm – my short story in Tiny Treats 2 – A St. Patrick’s Day Collection. I’m so glad you enjoyed meeting Patrick ‘Paddy’ Mullroney and Shayla Friel! Several of you have asked whether I’ll be offering a free download of A Perfect Lucky Charm, as I did for A Perfect Party. The answer is yes. Stay tuned – it will be available at the end of June! In the meantime, Tiny Treats 2 is still available to download for FREE at all book retailers. To whet your appetite, here is the gorgeous cover that the fabulous Earthly Charms created for me for A Perfect Lucky Charm. Despite his name, Ice Cats’ forward, Patrick ‘Paddy’ Mullroney, isn’t Irish and doesn’t believe in lucky charms. For sure, they won’t help him get out of his scoring slump. But when a shamrock from the earring of a green-eyed beauty drops at his feet, he wonders if St. Patrick’s Day might be lucky for him after all. There will be more New Jersey Ice Cats’ short stories later in the year – make sure you sign up for my newsletter or follow my Facebook Author page so you don’t miss them! 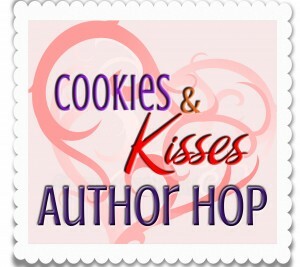 This entry was posted in News and tagged A Perfect Lucky Charm, A Perfect Party, cover reveal, free download, New Jersey Ice Cats series, short stories, Tiny Treats 2 on June 3, 2015 by annasudgen. Free Read – A Perfect Party! As a special thank you to all my readers, I’m posting a free download of A Perfect Party and the French translation La fête parfaite. This is my New Jersey Ice Cats short story featuring Taylor ‘Mad Dog’ Madden and Lizzie Martin. It originally appeared (and is still available!) 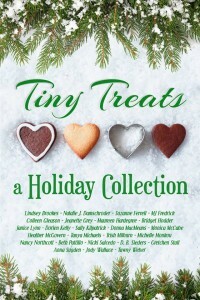 in the FREE anthology Tiny Treats: A Holiday Collection. For those of you who’d like this story on its own, to add to your collection, I’ve had a special cover designed and created a download. Simply head over to the For Readers section, click on the cover of the version you’d like and download the PDF. 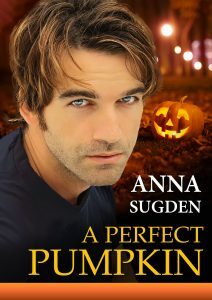 This entry was posted in News and tagged A Perfect Party, free download, New Jersey Ice Cats series, Tiny Treats on March 16, 2015 by annasudgen. It’s been a lovely week, here in Cambridge, with glorious sunshine every day. There is still a nip in the air to remind us that it’s still only March, but the snowdrops, daffodils and crocuses are out and the cherry trees are beginning to flower, so spring is definitely on its way. Hope it’s lovely where you are — that the snow has melted in North America and it’s not too hot Down Under! Thank you for your amazing support during February, with the launch of A Perfect Catch and La proposition idéale. Thanks to your purchases, A Perfect Catch hit #1 in Canada and #4 in the USA and La proposition idéale was a top 50 ebook in France! Thank you too to all my new readers who discovered A Perfect Party in Tiny Treats: A Holiday Collection (still available and still free!) and decided to buy the other New Jersey Ice Cats books. I’m hard at work on book 4 – tentatively titled A Perfect Choice – and enjoying putting reader favourite Jean-Baptiste ‘JB’ Larocque through his paces. This book is scheduled to be out in early 2016. I know that’s a long wait, but I’m a slow writer and want to make sure A Perfect Choice is the best book it can be. 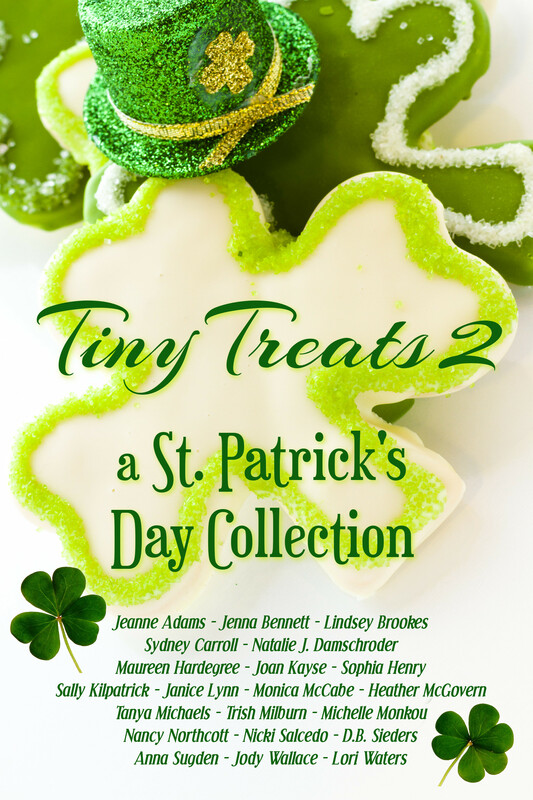 Don’t worry, there will be several NJ Ice Cats short stories to bridge the gap – starting with A Perfect Lucky Charm, which is in Tiny Treats 2: A St. Patrick’s Day Collection. A Perfect Lucky Charm introduces readers to a new Ice Cat – Patrick ‘Paddy’ Mullroney – who isn’t Irish, despite his name, and doesn’t believe in luck! Until the shamrock from green-eyed beauty Shayla Friel’s ear-ring drops at his feet. Could St. Patrick’s Day be lucky for him, after all? Enjoy the rest of the month and don’t forget to keep an eye out for a special extra treat in a few days! 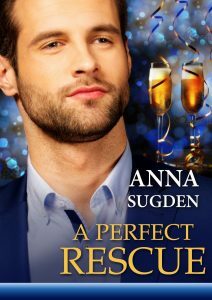 This entry was posted in News and tagged A Perfect Catch, A Perfect Lucky Charm, A Perfect Party, La proposition ideale, Tiny Treats, Tiny Treats 2 on March 15, 2015 by annasudgen. Simply click on the cover of the version you’d like and download the PDF. This entry was posted in For Readers and tagged A Perfect Party, free download, La fete parfaite, New Jersey Ice Cats series on March 14, 2015 by annasudgen. In A Perfect Party, we learned that Lizzie Martin (Jenny’s younger sister from A Perfect Trade) has set up her own personalised cookie business, called Lizzie’s Sweet Treats. Since I know you all love recipes, here is Lizzie’s recipe for delicious, buttery shortbread cookies. Add flour, sugar and butter (plus vanilla) to food processor or mixer and pulse until mixture is like wet sand. Lay out a large piece of cling-film on the counter and pour the mixture onto it. Using the cling-film to help keep the mixture together, press and roll, until you have a long, solid roll of dough, wrapped in plastic. Store in refrigerator for an hour. Slice dough into ¼” or ½” rounds and put onto a well-greased or sheet-lined baking tray. Cook for approx 15 mins. Note: timing depends on how thickly you cut the rounds. When cooked, use a spatula to slide onto a wire rack. Note: the cookies will be very soft when warm, so if they’re too fragile, it’s okay to let them cool on the tray for a few minutes to let them harden a little. (Optional) While cookies are cooling, add chocolate button to the centre of each cookie. [Note: This recipe first appeared as part of Tawny Weber‘s Cookies & Kisses Blog Hop. This entry was posted in For Readers and tagged A Perfect Party, Recipe, Sweet Treats Shortbread Cookies on March 10, 2015 by annasudgen. Hope your holidays were fantastic and that you’ve started 2015 well and in a positive frame of mind! Lots of exciting news to report. First, not long now until A Perfect Catch hits the shelves. Those of you who have been waiting for Ike and Tracy’s story will finally be able to read their story. 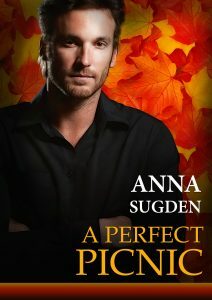 I was thrilled to receive 4 stars from RT Book Reviews for A Perfect Catch. 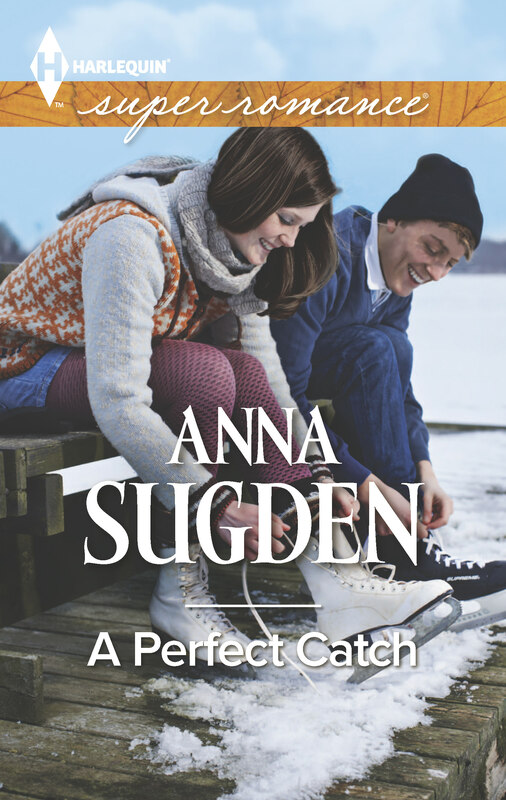 “A PERFECT CATCH (4) by Anna Sugden: After pro hockey player Ike Jelinek gets injured on the ice, he hires Tracy Hayden’s company to help set things up for his recovery at home. Unfortunately, Tracy and Ike have a past neither one can seem to get over. While the two are still wildly attracted to one another, their disagreement over what their relationship should be is what keeps them apart. But when Ike asks Tracy to go a professional step beyond and help him find his perfect match, he soon realizes that Tracy is the only one for him. Sugden’s novel is fun, in spite of Ike sustaining an injury. The quirky, fun hockey players add lots of color to the story and the chemistry between Ike and Tracy is seriously hot. 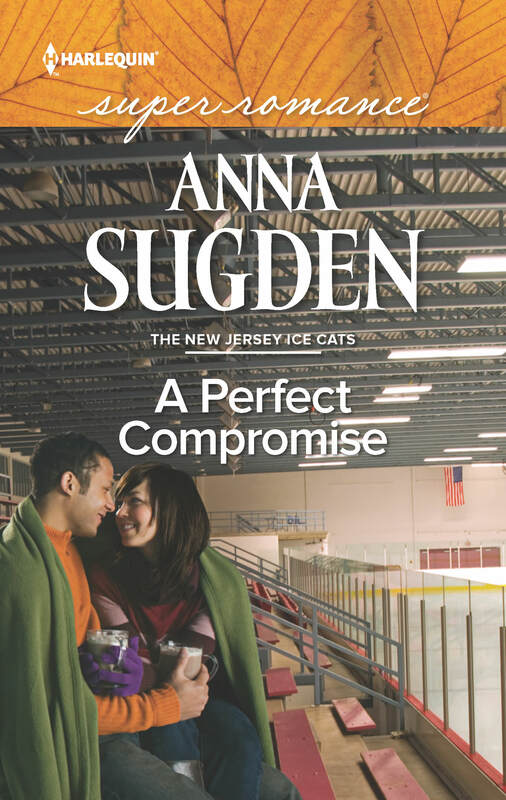 Second, Harlequin France is bringing out the second New Jersey Ice Cats book, A Perfect Trade, in French! La proposition idéale will be out in February! Even more exciting news is that I will be in Paris on February 7th for a book signing that had been organised by the wonderful Les Romantiques. 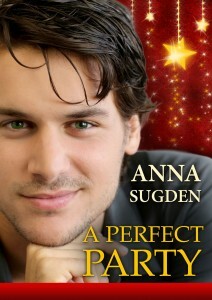 Third, later in the month I will putting up a free read for you to download – A Perfect Party! 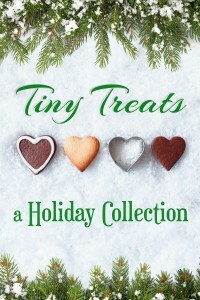 Many thanks to all of you who told me how much you enjoyed A Perfect Party – the New Jersey Ice Cats micro-story that appeared in the free anthology Tiny Treats: A Holiday Collection. I’ll also be putting together a give-away booklet of the story, so stay tuned. At the same time, I hope to have a French version available as well. This entry was posted in News and tagged A Perfect Catch, A Perfect Party, A Perfect Trade, giveaway, La fete parfaite, La proposition ideale, signing on January 22, 2015 by annasudgen.